The XT-3000 is available with an automated sharpening system. This system allows you to increase productivity by controlled cycle times and pre-drill set up. 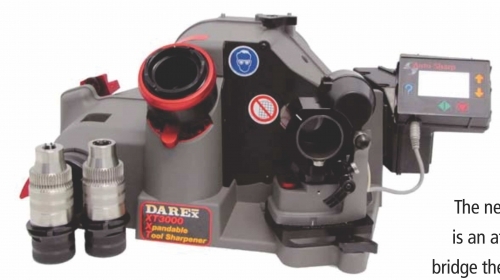 The XT-3000 Auto makes sharpening drills even easier. Simply insert the chuck and press start. The LCD screen displays valuable information and can be set to display in 5 different languages. You can purchase the automated sharpening system inclusive with a new XT-3000 or as an attachment to use to your current XT-3000 model.